Tualatin Valley Fire & Rescue firefighters are dedicated to responding to the fire and emergency medical needs of the community at a moment’s notice. This holiday season, firefighters are asking community members to help them come through for less-fortunate children as well. For more than three decades, the KGW Great Toy Drive has provided hundreds of thousands of toys to our community’s less-fortunate families in Oregon and Southwest Washington. The toys collected during the toy drive are distributed to needy kids in our area with the help of more than 120 local organizations and hundreds of dedicated volunteers. 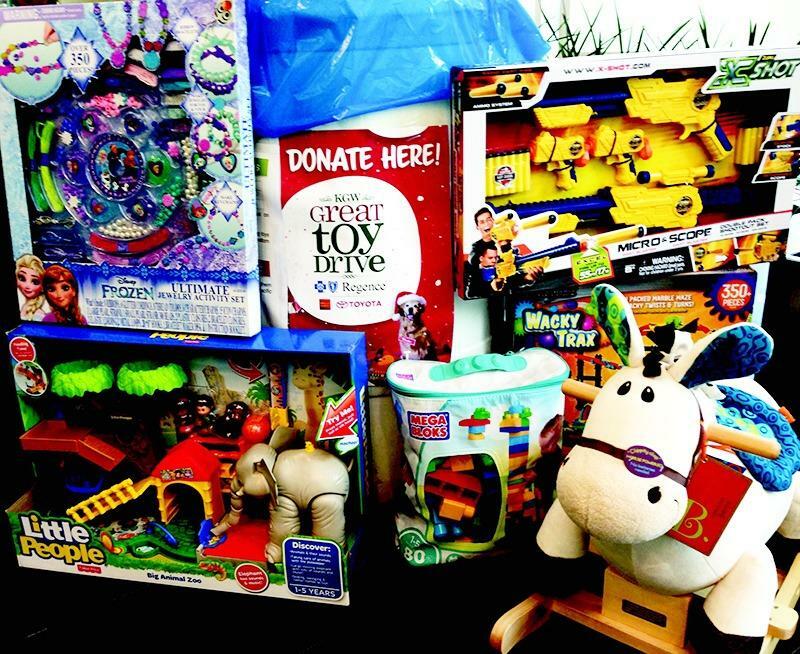 Tualatin Valley Fire & Rescue has been a longtime partner in supporting KGW’s Great Toy Drive. 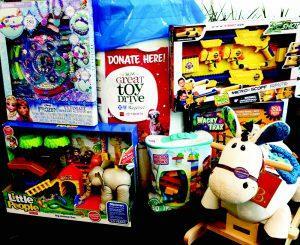 TVF&R fire stations are once again accepting new, unwrapped toys for children of all ages now through Monday, Dec. 24. With the help of our generous community members, TVF&R firefighters were able to fill a fire engine and box truck full of toys to deliver to the KGW studios last December. This year, the need continues to be great, and firefighters hope to exceed last year’s collection effort. Aloha Station 62, 3608 SW 209th Ave.
Bethany Station 68, 13545 NW Evergreen St.
Butner Road Station 61, 13730 SW Butner Road. Brockman Station 66, 13900 SW Brockman Road. Cooper Mountain Station 69, 9940 SW 175th Ave.
Cornell Road Station 60, 8585 NW Johnson St.
Farmington Road Station 67, 13810 SW Farmington Road. Progress Station 53, 8480 SW Scholls Ferry Road. Raleigh Hills Station 70, 8299 SW Beaverton-Hillsdale Highway. Somerset Station 64, 3355 NW 185th Ave.
West Slope Station 65, 3425 SW 103rd Ave. Families in need of holiday assistance this year can call 211 or visit 211info.org. Tualatin Valley Fire & Rescue knows that we serve a generous, compassionate community. Thank you in advance for helping us contribute to brighter holidays for children in need. For a complete list of TVF&R fire stations, visit www.tvfr.com. NextSeat-belts & speed limits, How Important are they?